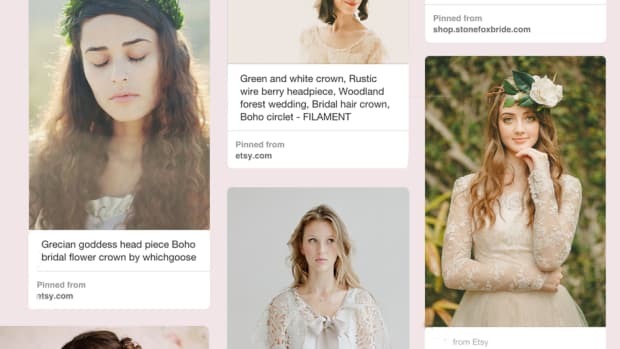 Let’s face it, ladies: We live in the Pinterest era of wedding planning, and that can be as confusing for a bride-to-be as it is helpful. I love that traditional dress! But it’s so in now to be ethereal . . . or do I want to go rustic? 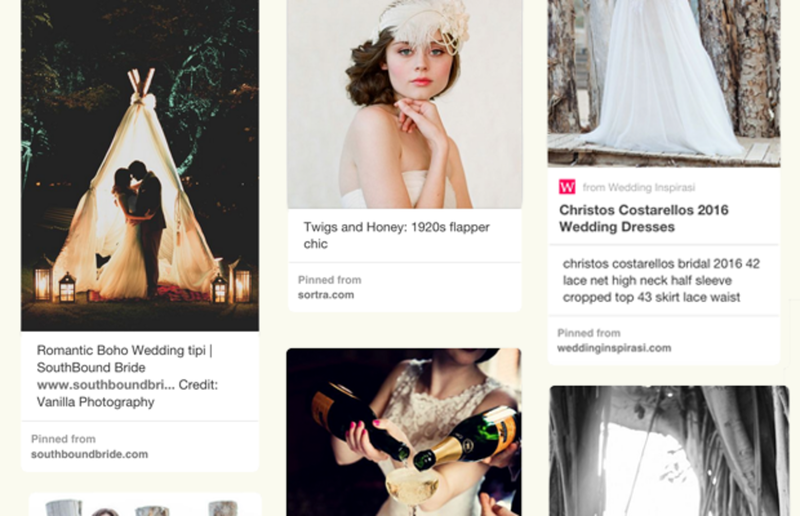 When you put it all together on your dream wedding board, it can feel more like a Frankenstein wedding than the chic affair you had in mind. To help sort through the madness, we pulled together some boards of our favorite wedding trends for every kind of bride—and how to pull them off. Which style are you? Who it’s for: You’re the gal who prefers the basics but manages to look super-sophisticated and totally put-together. How to make it happen: This look isn’t 100 percent perfect—the key to a modern look is to take the traditional and give it a tweak. Love traditional roses? Try an ombré arrangement, or go over the top with tons of one color. Throw in some special surprises for the reception, such as a signature cocktail or unique five-piece band, and watch your guests ooh and aah. 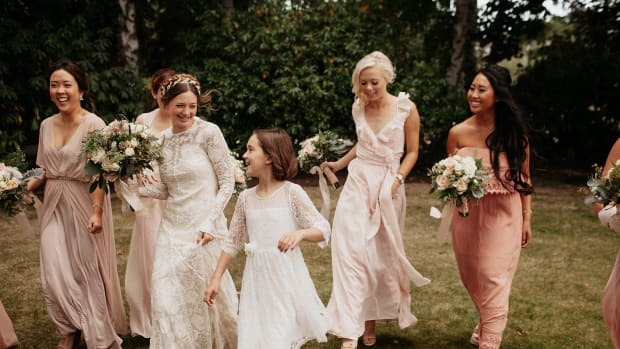 What to wear: Try a classic off-the-shoulder gown, but then consider shimmery floor-length gowns for your bridesmaids—they’ll add some sparkle to the overall look and make your photos (and bridesmaids) pop. Who it’s for: You’re totally the romantic: feminine, not flirty, and your friends describe you as elegant. How to make it happen: A rustic but classy wedding is right up your alley and is still super in style. Rather than full-out barnyard, infuse rustic elements into an otherwise polished setting. Wood furniture is perfect for the romantically rustic wedding; it even looks better when the tables and chairs are slightly mismatched. Try a burlap table runner over a white tablecloth and mason jars full of wildflowers as centerpieces. Decorative wood frames tied to long ribbons from the ceiling or a tree will have your guests dazzled by your creativity. What to wear: To satisfy your romantic heart, try a dress that highlights your waist for an ultra-feminine silhouette. For the veil, think layers of silk or tulle—the cascading and gauzy look will be swoon-worthy with your wildflower bouquet in photos. Who it’s for: You dress practically but still appreciate your girlie side. Sleek, simple silhouettes and a toned-down palette sum up your everyday wardrobe, and your friends marvel at how put-together you seem. How to make it happen: Because you have a no-frills policy, go with a monochromatic color scheme for the dress, bridesmaids, wedding flowers, and the reception. To add a modern flair to this type of palette, try metallic elements for your table decor. Silver or gold candleholders, vases, and edged plates will be eye-catching without looking tacky. 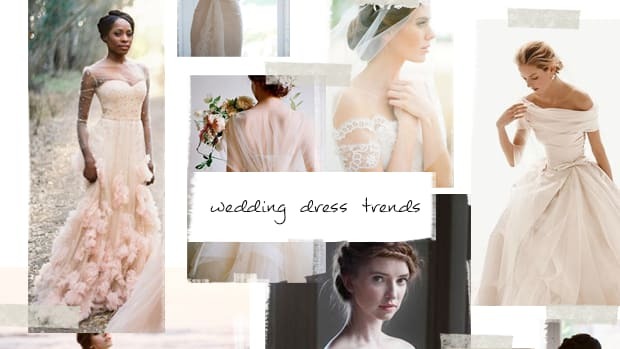 What to wear: Another perfect trend for you—wedding separates. Who said a girl has to have a dream wedding dress? Bridal skirt-and-top combinations are becoming more and more popular because they’re so modern and sensible—you’ll even be able to wear each piece again. Who it’s for: Keeping things casual is your specialty. You are romantic and classic, whimsical yet practical. And your confidence is completely contagious. How to make it happen: Picture this—an elegant affair, complete with live music, personal touches, and a variety of delicious food. For your reception photos, take advantage of the natural elements around you, such as an open field, garden, forest, or beach. What to wear: Long-sleeved dresses exude elegance like no other. Try a silk or lace sleeved dress with a boat neck to create sleek lines. 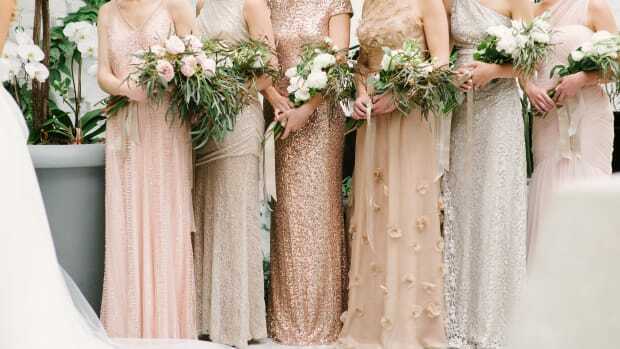 For the bridesmaid dresses and bouquets, use soft peach and blush colors. Who it’s for: You are all about having fun with fashion, living in the moment, and following your heart. 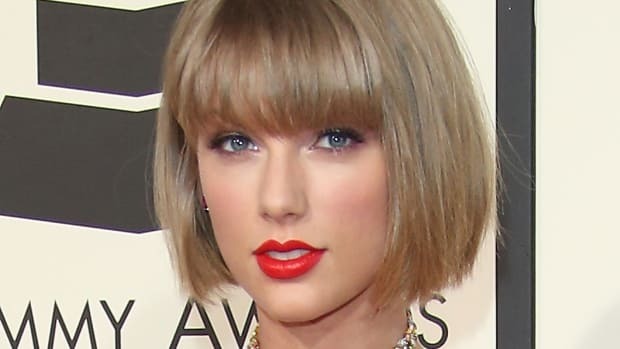 At the same time, you’re a hard-working gal, and you know what works for you. How to make it happen: Whether your nuptials go down at City Hall or in a New York City loft, choose an urban setting with character to reflect your city-loving personality and to create an intimate wedding for the books. Try making a raw, urban setting an unexpectedly beautiful environment. For example, an exposed brick wall or old intricate woodwork might be the ideal reception space for you. What to wear: As for the dress, think about going short—it’s chic and modern, and you can revel in it by taking playful wedding photos out and about in the city. A wild bouquet of your favorite flowers with plenty of greens is a perfect match. 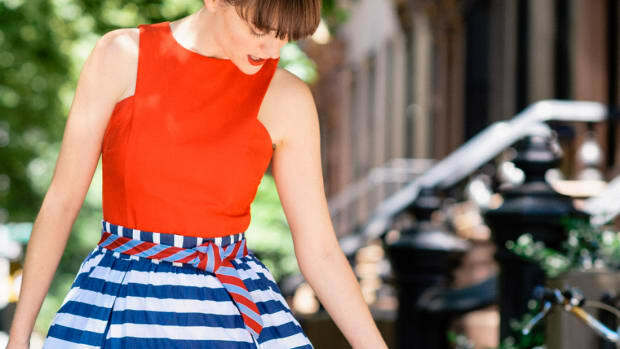 Who it’s for: Your look tends toward vintage but in an amazing, polished way. You have an air about you that’s totally refined. How to make it happen: Jazz Age–themed lawn parties or galas à la Great Gatsby are fantastic inspirations for your own post-Prohibition wedding bash. 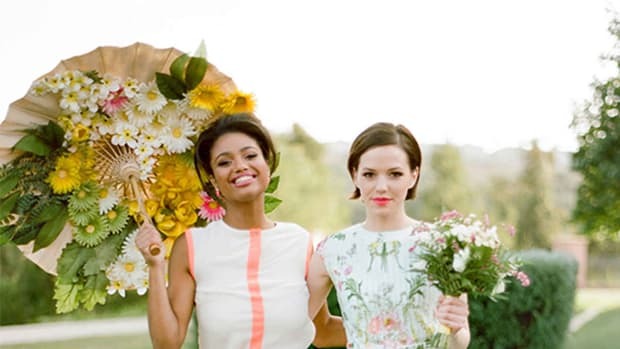 Add some fabulousness with a champagne tower, a jazz band, and/or an old-timey photo booth. What to wear: Stay true to your time-period inspiration with a vintage-style gown and bridesmaid dresses. Feather details and long pearl necklaces will have you ready to do the Charleston but will still feel right for this decade.